In just a few days I, along with thousands of others, will descend upon Austin Texas for South By Southwest 2017. The easiest way to describe it would be a 10-day experience of creativity, inspirational speakers, interactive design, storytelling, music, movies, and digital arts. It’s basically pop culture and technology heaven. But what are these conferences really worth to creative agencies? And who gets the most out of an experience like SXSW? Thankfully I got to speak to two wily vets of the creative conference world. Jackson Murphy, Partner and Creative Director at Pound & Grain and Sandy Fleischer, Managing Partner at Pound & Grain. Together they’ve spent a combined 37 years (total hyperbole) rubbing elbows at creative conferences, so I thought it would be a good idea to get a couple of expert opinions. I understand that Sandy is attending SXSW 2017 and Jackson is not. How come? Jackson: Great question Scott. I think I’m still full on the Franklin’s BBQ from last March. But the reality is that I find that it’s pretty overwhelming as far as conferences go, a little too intense for my tastes. 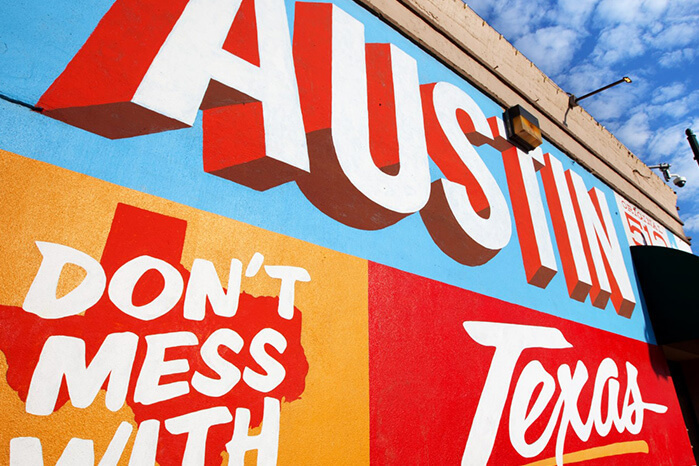 Is the commotion of SXSW a draw for you? Or is it something you’re preparing to deal with? Well what keeps you coming back? S: I definitely feed off of the fact that there’s so many people at the top of their digital game. It’s palpable when you are there. Many of our clients are there as well, and it’s a great inspirational backdrop. What do you remember about your very first creative conference? J: I think my first “grown up” real job conference, was some more on the ad tech side. I think I went to Ad: Tech in New York about 12 years ago and then I went to OMMA SF – I think both of these were what makes me skeptical of conferences generally. In both cases, there was lots of sales and trade show floors, and not always the best speakers. You kind of become a small fish in a very big pond. It’s hard to get the value out of these. Who are some speakers you’ll never forget? S: A few come to mind. I really enjoyed Stephen Wolfram. I saw him demonstrate the power of Wolfram Alpha. What was amazing is that while he was talking he was coding on his laptop, which was projected onto a large screen. Now I’m not a coder, but all the devs in the audience were gasping at his code. How well it flowed, and was perfectly formatted. It was fun to watch people gasp at someone coding. All while he was talking. Ed Snowden was a fascinating speaker (via satlink of course). He was imploring app developers to build securely encrypted apps. He really understood his audience. And wildcard, Jeffrey Tambor always puts on a great acting workshop at SXSW. J: I learned the power of a good conference and good speakers in about 2008. There was a crazy 1-day only conference Creativity & Technology from Creativity magazine. Sadly, it no longer exists. And one day it just hit the right notes for brevity and good speakers. It was there that you saw some real emerging thinkers that influenced me. Hearing from Winston Binch when he was at Crispin Porter, or going to their party and hearing more about how the Subservient Chicken worked. 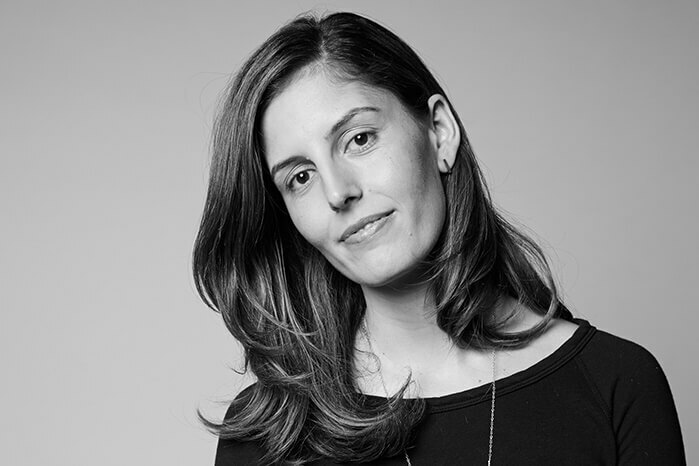 Or how future ZADY co-founder, Soraya Darabi was at the New York Times and then started Foodspotting – years before there was an Instagram. Or the head of digital for New York, the city. Those are people that you get a lot of value out of. I’ll always remember a talk from Kevin Slavin. He was head of an agency called area/code (now he’s at MIT) but he did a talk on laugh tracks that I still think about. Another one that still leaves me inspired to this day is Richard Tait at Creative Social Seattle. Think about the best story you’ve ever heard, and then get sucked into hearing how one person can go from working at early Microsoft back when there were CD Roms, to cofounding Cranium, yes, the game, to helping to make Starbucks food better, to being what his Linkedin notes as Chief BoomBoom at Starbucks. That’s what you want from a speaker, a storyteller. I think for me, both with Binch and even Gary V, it’s all about the context. In agency world, most people are all trying to say and do the same things. Both of them had some pretty radical and business-centric ideas that just resonate more than another case study, or another presentation on how VR is going to change everything. And last year at SXSW I found the smaller speakers, on weird topics, something Sandy shared with me, way better than the keynotes. I tried to see Anthony Bourdain and was left uninspired. Sandy, what other opportunities are you going to be looking for at SXSW while you’re there? I mean, it can’t ALL be about the brisket, right? S: Well, there’s obviously tequila and mezcal too. For me, 8 years in, it’s really about re-connecting with clients and other agency folks who go. Years ago, it was always about what new tech will break. 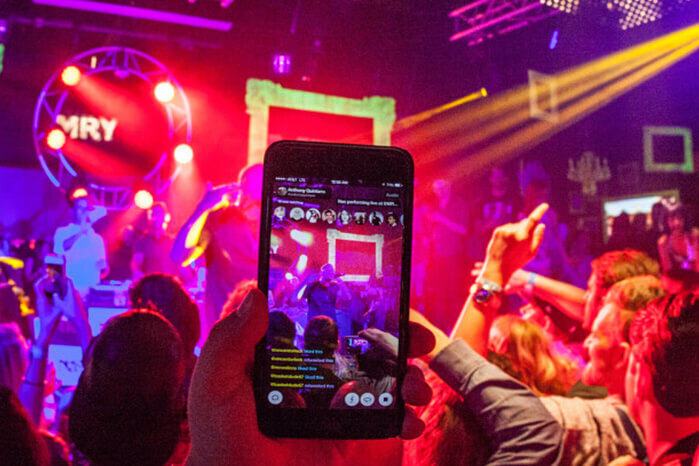 It was at SXSW that Twitter broke, then Foursquare, Instagram, and then Meerkat (anyone remember them?) From a digital marketing perspective, it’s like a great big laboratory where everyone is digitally savvy. J: That’s a good point Sandy. I think when you return, what you remember is only about 1/2 of what happens in the talks or panels you see. But it’s also about who you go with, what you eat, and the conversations with people you meet along the way. S: Yeah, exactly. It’s fun going with employees/people who get to experience it for the first time. I try to keep my advice to a very high level. The conference can unfold differently for everyone. Maybe it’s like Burning Man that way, except most people keep their clothes on. What’s your conference style? Do you meticulously plan every minute? Or do you fly blind and just go with the flow? S: I’m much more of a go with the flow type of guy. In the past, the talks that I’ve had high expectations for frequently haven’t panned out, and others that I’ve just wandered into have blown my mind (see Stephen Wolfram above). J: Last year, I tried to plan, but until you realize the distance between speakers and venues, you start to call audibles and just look at what’s interesting in the next room – rather than crisscrossing the city. It works because they are usually aligned, so if you liked what you just saw, you probably will like the next. I got lost in some nerdy pre-election data panels that I just couldn’t stop going to. I think the other thing are wildcards like last year finding the NBC Sports lounge at the Four Seasons with unlimited premium draft beer in the sunshine, it was like an oasis. Switching gears, I’m going to ask you guys to put on your business pants for a second. SXSW is expensive, I’ve seen the bill… As agency partners, how do you justify sending members of your team? S: Did our Finance team ask you to ask that question? I think ultimately given the breadth of the conference, there is something for pretty much everyone who we bring. There’s definitely other conferences on the list, but given we play a pretty active role here, what with SoDA events and our FAMOUS BBQ Picnic, it’s a pretty special experience, and it’s important for our team members to feel connected to that. Hope I didn’t get to spiritual there. J: Conferences are a tricky business. To use a clichéd quote from Ted Williams they are like hitting. “Baseball is the only field of endeavor where a man can succeed three times out of ten and be considered a good performer.” Baseball, like finding a good conference, is a bit like getting up to bat. Most conferences are just too long, filling up space with people that aren’t worth hearing. Like a fish or relatives, after a few days, most of them, well, stink. What I’ve learned after trips to key events like SXSW are worth it just for the madness of it all – like you’re Kurtz, in Apocalypse Now, the deeper you get in, the further up the river you go, the crazier it gets. At past great conferences like Creativity’s Creativity & Technology conference – probably the best 1-day conference ever, it was part inspiration, the other half is inventing new drinks like the infamous Lazer Bomb which Graham did in New York City. For those playing at home, it’s a Bud Light Lime with a shot of Vodka in it, because why not. What’s this famous BBQ you speak of? S: Well, its evolved. For a few years, we’d rent a party bus and take our clients out to Salt Lick, a BBQ house about an hour outside of Austin. It’s out in the middle of nowhere and kind of like Tarantino’s Dusk Till Dawn, but with no vampires. It was in a dry county, and a really special experience. We’d always have to bring our own booze, but Graham (one of the other partners at Pound & Grain) would always overdo it on the bus and fall into the cooler. So, we switched gears. Last year, we got some meat from Franklin’s (best brisket in the world) and served it up on a giant picnic table with about 20 of our friends. It was awesome. If you could design a conference, who would be your keynote speaker and why? J: I think for me. I’d want to take a play out of the conferences I’ve gone to with Creative Social – less about a rock star and more about matching the place to someone inspiring. Like why at SXSW isn’t the guy from Franklin’s doing the keynote? I’d be there in heartbeat. 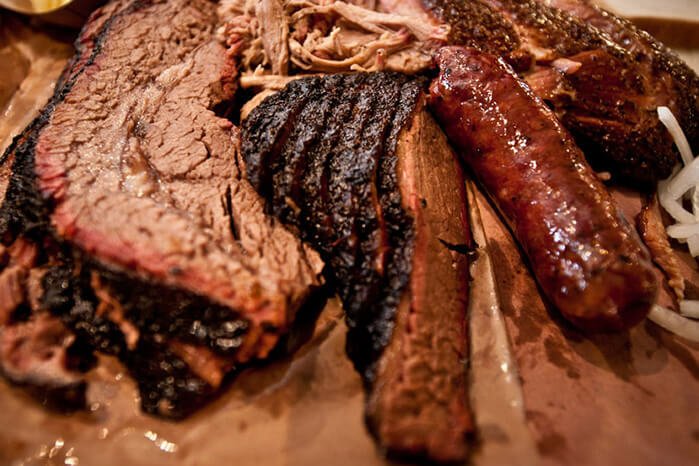 Come to think of it, why isn’t there a curated TED TALK style conference just about brisket? So, there you have it. A couple of different veteran views on one of the biggest interactive, film and music events of the year. SXSW runs from March 10-18 in Austin Texas, and as I experience the crowds, the speakers, the inspiration, the innovation, and the BBQ, I hope to live to tell my tale as well.